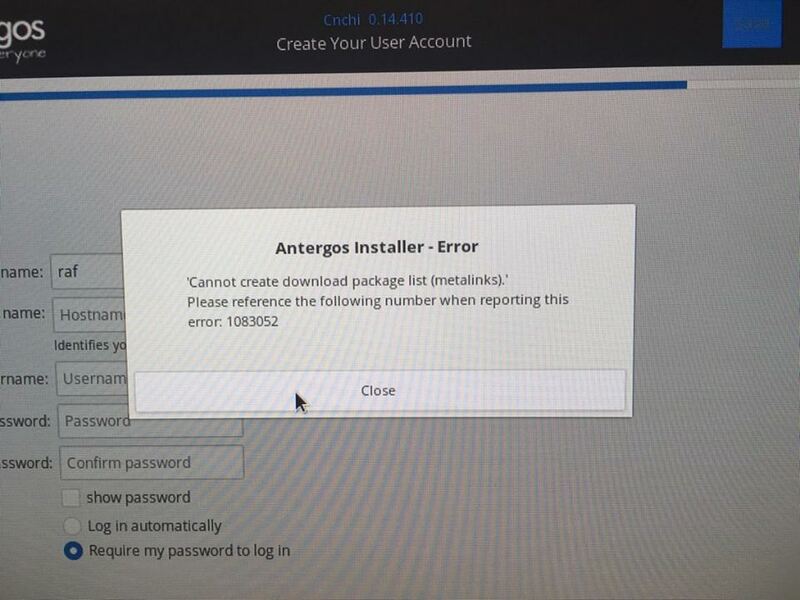 Error : 1083052 - Antergos Installation. Hi guys! 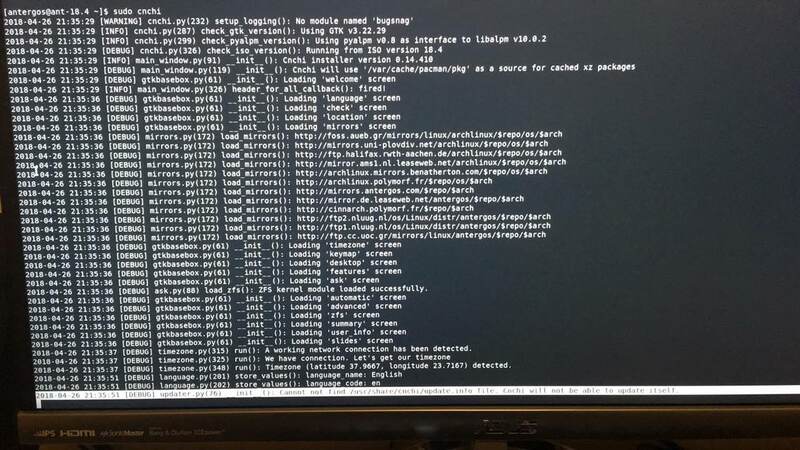 :) Im fresh new to the whole Arch thing and generally with Linux and since i have a spare driving sitting im doing a side play with linux and since i liked Antergos from what i saw in videos and stuff i decided to try it! I searched the forum a bit and found out about the mirror and when i selected for example only greek mirrors in third try to see if it would change something the error changed to 1083116. I started the cnchi from terminal using - sudo cnchi and i found out this. Does this mean that cnchi never managed to update ?! could this be my problem ? or could it be that the mirrors are ? I have the same issue, trying to install with Deepin. I have tried changing to several different mirrors, same errors on all of them. To add to the above report - I checked the list of packages, and xfsprogrs was the first. I tried installing xfsprogrs form the terminal, which completed without issues. Tried the installer again, only to have it fail on the next package (antergos-keychain I believe), which also installed fine manually. Seems all packages fail through cnchi though.